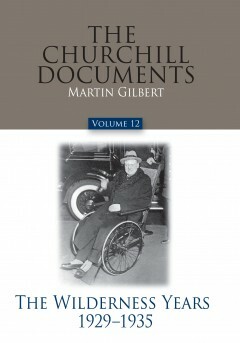 This volume of The Churchill Documents tells Churchill’s story from 1929–1935: the first five and a half of his “Wilderness Years.” Based, like the previous volumes, on one of the richest and most complete archives of modern British history, the documents assembled here reflect both Churchill’s political and personal life and the dramatic political scenes in which he played a part. The story told in these pages is of a man out of office and out of favor with the government of the day, building up an incredible array of personal contacts, who enabled him to collect together the facts and information about the events of the day on which he rebuilt his political career. In addition to the Churchill papers, Martin Gilbert has drawn additional material from more than a hundred private archives, as well as from British Cabinet and Ministerial papers in the National Archives (formerly the Public Record Office). The documents, letters, and telegrams that are presented here are fully annotated, enabling the reader to follow both the background of the events themselves and the careers of the individuals mentioned. Amongst the subjects covered in this volume are Churchill’s long conflict with the Conservative Party over its India policy; his early awareness of the Nazi danger; his creation of an increasingly strong base of popular and parliamentary support; his astonishing literary and journalistic work; his personal life; his travels in Canada, the United States, and Europe; his financial problems and achievements; his family life; and his personal philosophy.